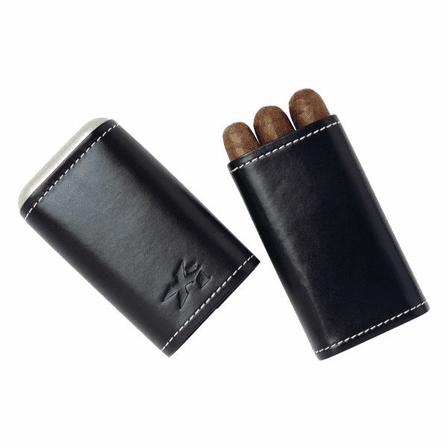 FEATURES/SPECS This geunuine leather three cigar case from Xikar is really the only way you should be carrying your finest cigars. It holds up to three 54 ring cigars. Is Spanish cedar lined interior keeps them fresh and ready to be smoked at a moment's notice. 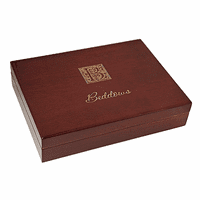 Outside, it has a smooth black leather wrap with detailed white stitching along the edges and a silver dome cap. 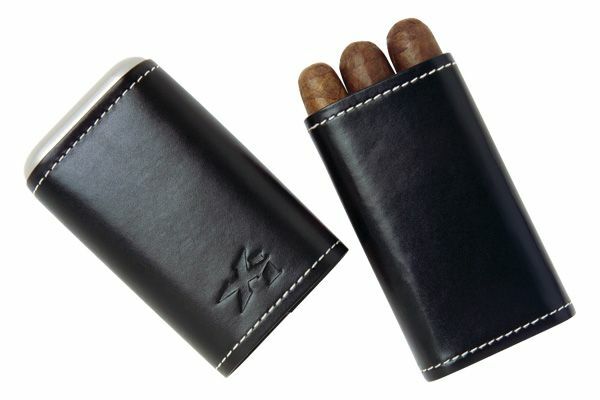 This leather cigar holder opens telescope style, allowing your easy access to your precious stogies.